Most of my sessions are held in the surrounding areas of Port Macquarie. I find the littler towns area are more secluded and have locations that feel like you are the only people there. I met the Sharman family one late autumns day at my favourite spot in Bonny Hills. We were worried that the weather was going to be rainy for their family session, but needless to say, we should never have worried. It was a perfect afternoon exploring the bush trails and running around on the beach. It was a joy to capture the connection that they have as a family. Family Lifestyle Sessions – come on an adventure with me, and lets make some beautiful memories that you will remember for years to come. 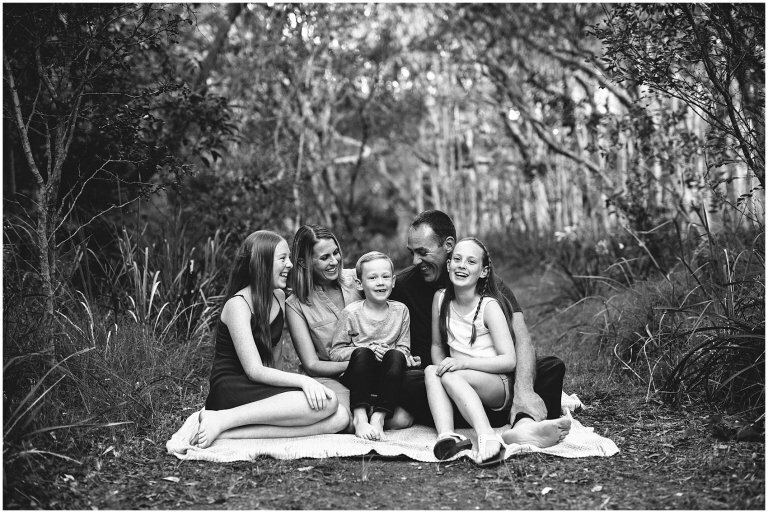 Port Macquarie Family Photography | Lifestyle Sessions | Capturing your family exactly as they are.